The Michigan Center for Forensic Psychiatry (also referred to as the Forensic Center) is located at 8303 Platt Road in Saline, Michigan 48176. The Forensic Center performs several functions for the State of Michigan. The Forensic Center conducts evaluations of both male and female Defendants that are charged with crimes that are allegedly mentally ill. The court with jurisdiction over the Defendant will make a referral for a forensic evaluation upon a motion made by the Defense, the Prosecution, or the Court itself. For persons not in custody, paperwork is usually sent to the Defendant’s lawyer indicating the date and time of the evaluation, and the Defendant is responsible to provide his or her own transportation to the Forensic Center. For persons in custody, transportation is arranged by the jail. Evaluations usually take a couple hours and involve compiling background information, diagnostic testing, and an interview. The Forensic Center will also obtain releases from the Defendant to acquire records from hospitals, clinics, jails, courts, and other locations where the Defendant may have received treatment in the past to assist in the determination made. Evaluations of Defendants involve two possible issues: Competency to Stand Trial, and Criminal Responsibility (also called legal insanity). Sometimes referrals are made for both issues. Competency to Stand Trial means making a determination whether or not the Defendant is mentally capable of standing trial due to the Defendant’s current mental or emotional state of being. The Defendant must be able to understand the charge he or she is facing, understand his or her Constitutional trial rights, and have the ability to rationally assist his or her lawyer in the defense of the case. The Doctor evaluating the Defendant will ultimately author a report that contains an opinion as to whether or not the Defendant is competent to stand trial, and if not, whether or not the Defendant is expected to regain competency within the period of time allowable by law. The Defense and Prosecution can challenge that determination in Court, and seek an independent assessment of the Defendant. Criminal Responsibility means making a determination if the Defendant should be deemed responsible or not for the alleged crime based upon their mental or emotional state at the time of the offense. Again, a written opinion is authored by the evaluating Doctor, which can be contested by an independent evaluation and/or trial. For a Defendant to be deemed not guilty by reason of insanity, a determination ultimately will need to be made by a Judge or Jury. If a trial is conducted, the Defendant has the burden of proving this defense by a preponderance of the evidence. If a Defendant is found to be not competent or not guilty by reason of insanity (also called NGRI), he or she can potentially receive inpatient treatment at the Center for Forensic Psychiatry. The procedures for patients deemed to be not competent, and for patients that are not guilty by reason of insanity are a little different. In Michigan for State court proceedings Defendants that are incompetent to stand trial can be treated for up to 15 months, but no longer than one third of the maximum sentence he or she could receive if convicted as charged. Persons who do not, or who cannot, obtain competency within this period of time may be subject to civil (probate court) commitment proceedings to ensure that psychiatric treatment continues. The Defendant has the right to be represented by a lawyer for civil commitment proceedings. In Michigan the patient (formerly the Defendant) who is found to be NGRI is evaluated at the Forensic Center for an initial period of 60 days to see if he or she is mentally ill and in need of inpatient treatment. If such a determination is not made, the patient is released. If such a determination is made, probate court proceedings are instituted in either the jurisdiction of the alleged offense, or the jurisdiction where the patient resides. The probate court will first make a 60 day treatment order, which is followed by a 90 day treatment order, and a 1 year treatment order. The probate court (or a jury) determines if the patient needs further treatment. If so, the probate court determines if the patient is in the least restrictive setting. Patients do not need to be treated at the forensic center. Sometimes determinations are made to treat the patient at a different facility that is less restrictive and more appropriate for the patients needs. There is a NGRI Committee at the Forensic Center that discuss patients and makes recommendations in this regard. The patient has the right to hire a lawyer, or obtain a court appointed lawyer, to challenge the need for continuing treatment at the Forensic Center as outlined above. 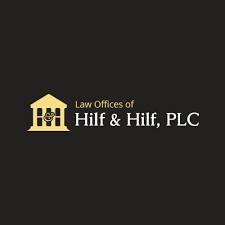 Attorney Daniel Hilf of Hilf & Hilf, PLC is known to represent patients concerning these issues. 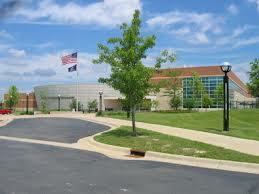 The Forensic Center is a very restrictive, secure facility. They reside in one of seven units, and are generally allowed to attend programs and activities during the day. Patients are not allowed to leave, unless they have met conditions to go off grounds with staff members. There are limitations on the type of items that a patient can possess. Family members can visit during visitation hours, however, the family is usually separate from their loved one by a glass barrier. For patients being housed due to a probate court order, arrangements can be made for non-sexual contact visits (holding hands, a brief kiss, etc.). Clients with mental health issues present the greatest challenges to criminal defense lawyers. Not all criminal defense lawyers have the experience, knowledge, and expertise to properly address these matters in the court system. It is important to hire the right lawyer for your best bet at justice with compassion.